We are pleased to present below all posts tagged with ' cleaning service'. If you still can't find what you are looking for, try using the search box. Have you ever met someone or gone to visit someone in their home and they made you take off your shoes before you came inside? Snow can be fun to play in, but when you track snow into your house, whether it is on your boots or on the paws of your pets, it can cause some serious damage to your flooring that can only be cleaned by a professional. The holidays are all about spending time together and if your home is a spot for everyone to get together, you want to make sure that it is clean by using these holiday cleaning tips. Use a professional cleaning service, CCS Cleaning & Restoration, to get your home ready for the holidays and to clean up after all the celebrations are over, so you can start fresh in the New Year. 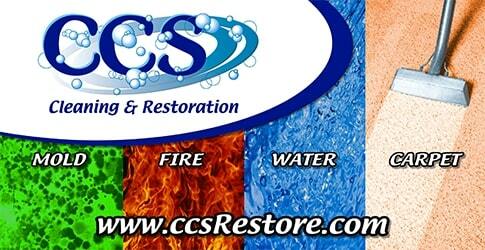 When you have stubborn stains, it is best to leave the tough jobs to the professionals at CCS Cleaning and Restoration.